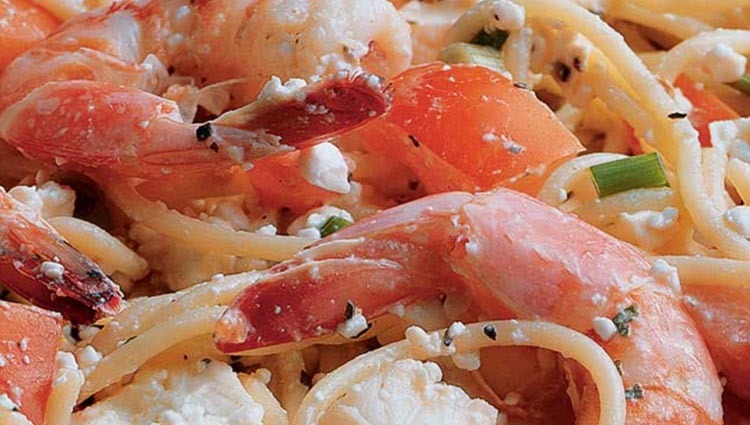 This spaghetti, shrimp and feta salad is super quick and easy to make. Combine cottage cheese, feta and seasonings; mix well. Stir in vegetables. Pour over combined pasta and shrimp; toss until well combined.